The video starts at the beginning of the road Rosario-Córdoba. The bike accelerates to the bottom and evades everything in its path. The speedometer rises Up to nearly 300 mph In a section with no obstacles on the horizon. The camera goes away after 12 km – at the entrance to the town of Pons – with a time of Three minutes and 26 seconds, Five times smaller than usual. The recording was uploaded by a citizen of Pons on his Youtube channel. But on this Monday, after filming went viral, the user decided to eliminate advertising. The InfoFunes portal was able to restore it before it was destroyed. 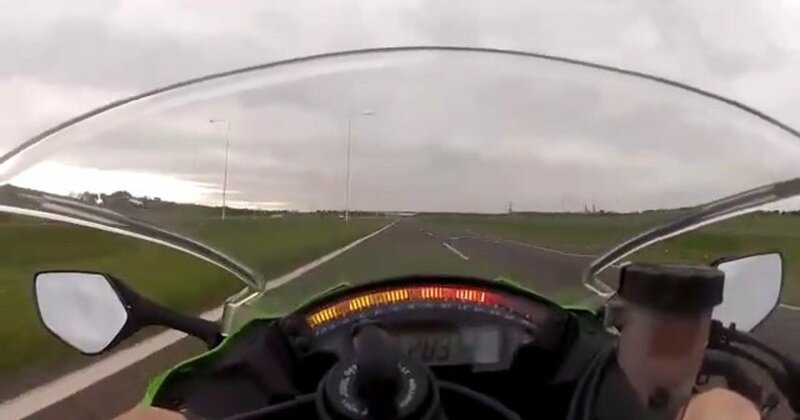 The pilot drives the Kawasaki ZX10R motorcycle. Start recording with a speedometer at 50 km per hour and in seconds it reaches 200. The speed record reaches it in the middle of shooting: almost 300 kilometers per hour with a deserted road. In the middle, it seems zigzag and dodging cars and trucks in a very reckless manner, with bypassing is forbidden on any highway in the country. Take the Poons exit in less than three and a half minutes. At the speed limit the section is covered between 15 and 18 minutes. In the section of the road where the video is recorded, the maximum allowed is 130 kilometers per hour, that is, less than half of the speed reached by the motorcycle during the video.The highest penalty for speeding in the district is 30 thousand pesos.